The Academy now offers adult ballet fusion classes at the studio on a Wednesday evening! Due to high demand the class runs 20.15-21.00 in term time, and 19.30-21.00 in the school holidays (according to availability). 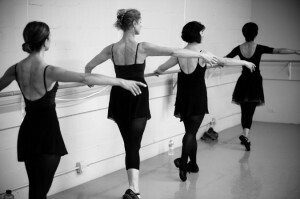 Our adult ballet class incorporates classical ballet technique, stretching, and strengthening exercises fused with contemporary, pilates, Greek and modern techniques to create an all round strong and lean physique. Lycra is not compulsory so come along and give it a go!